On a summer day in Pakistan, things move at a leisurely pace. Offices are closed from noon to four o’clock and everything has to get done early in the morning or late at night. Lunch is a few chapattis with a spicy saalan, followed by a long nap. It’s just too hot to do anything else. This beautiful ruby red syrup, named “the nurturer of the soul,” is made from roses and kewra, a Pandanus flower extract. 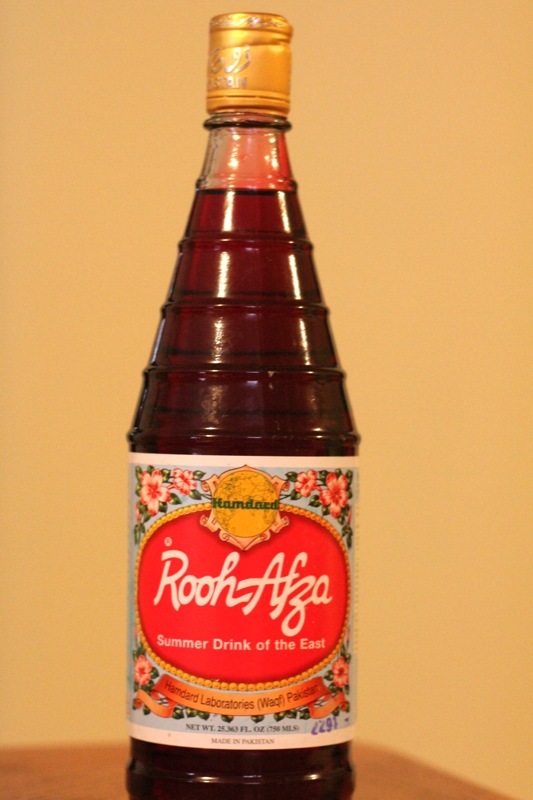 Rooh Afza is the star of many summer treats. It provides a beautiful pink contrast when drizzled over top of Kulfi, a creamy-white cardamom ice cream, or mixed in with the faloodah (vermicelli noodles), or tukhmalanga (basil seeds) that top the kulfi. I can imagine someone more creative and less lazy than me using this syrup in various ways at a Valentine’s Day party or something equally as cute. Especially during the loadshedding hours, where power is cut off in sectors of the cities to save the system from overload, everyone sits around with woven reed pankhiyaan, or “little fans” (or, as my Farat Phuppo calls them, “hand AC’s”) drinking something cold. My favorite of these cooling summer drinks is ice-cold water sweetened with Rooh Afza. I love the taste of this syrup, so I prefer a higher proportion of syrup to water than other people may. This drink is very dependent on personal taste, and this is how I like it. 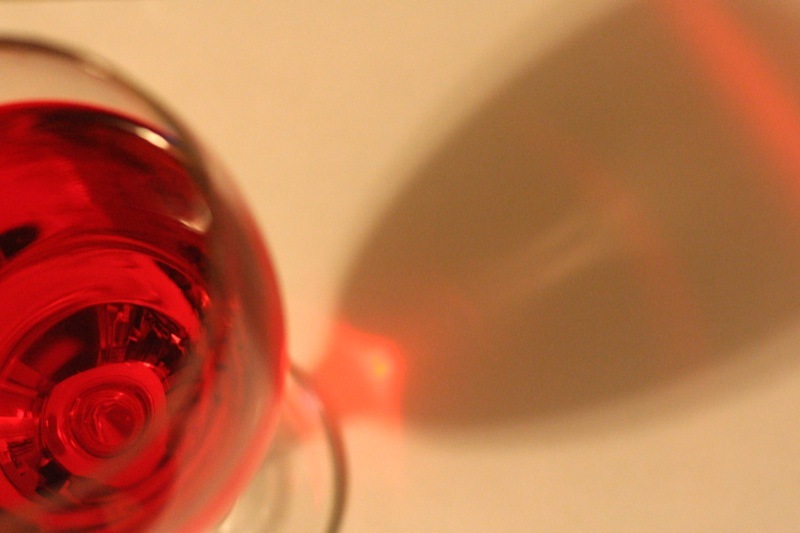 Pour the Rooh Afza into a shaker or pyrex glass measuring cup. 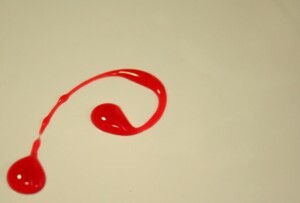 Pour the cold water on top of it and stir/whisk/mix very well until the syrup is completely dissolved in the water. Fill a glass with ice and pour the Rooh Afza water on top. (Some people also add fresh lemon juice.) Enjoy! And, as befits a culture influenced by Persians, Arabs, and Mughals, an eminent poet also wrote a poem about Rooh Afza. 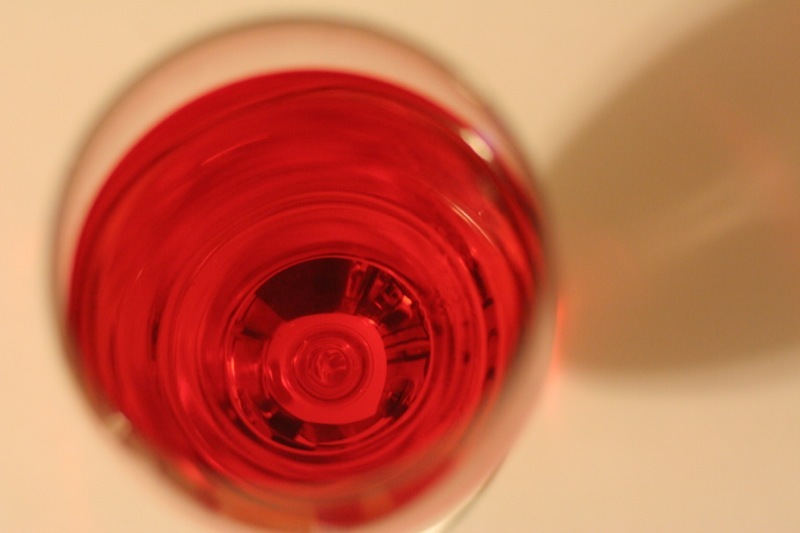 There’s another version of Rooh Afza that is a particular treat in Ramadan. Instead of water, the syrup is mixed with cold milk and served with spicy samosas and pakoras at Iftar, after the day’s fast. It’s probably not smart to eat spicy food after you’ve had nothing in your stomach all day, but try telling a Pakistani to eat bland food. We’ve been known to carry around bottles of Tabasco in our purses. So, the sweetness and softness of the milk gives both quick energy and a bit of cushion against the savory-spicy food. I use the same proportion of milk to Rooh Afza as with the Summer Rooh Afza. 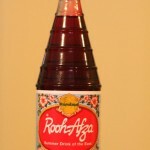 Rooh Afza comes in a bottle and can be found at South Asian grocery stores. Experiment with it as an accent to desserts, drinks, or anything you can think of, and let me know how it turns out! Oh we’ll just see about that. I’m slowly indoctrinating you. ohh yes you will ameir! and you will love it! resistance is futile. tabasco in the purse!!! i love it!!! i actually saw hassan pull out a tabasco bottle at a wedding not long ago… 🙂 but i think that’s specifically desis from north carolina. or maybe it was texas pete. i dunno. he might have defected when he was in lousiana. i have to ask him. Rhooo afza is my favorite drink. I drink at least thrice a day with a milk , sabza seeds and couple of spoons rhooafza, very very tasty , feel very chilled. Received it as a gift. It’s just wonderful!